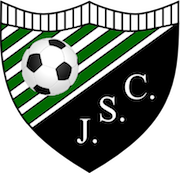 ​Jeffersonville Soccer Club is small soccer club with a long history that focuses on player development, teamwork, and sportsmanship. Being a travel program, our coaches work to put the best team on the field each year. We open our rosters every year and encourage new players to try-out for existing teams. Players will play and compete against players of the same age and gender. We offer boys and girls teams beginning at seven years old. If we do not currently have a team at a specific age group, will add one if registration numbers support it.